- If you are going to replace an Enersol header, you should also replace the O-rings on each header. O-rings should not be reused. 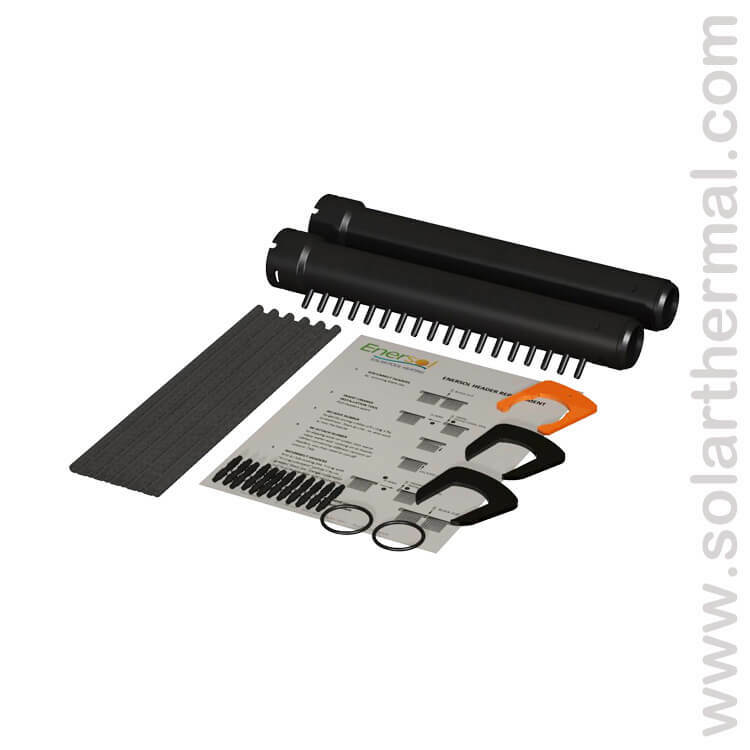 - You must use an Enersol Installation Tool and an O-ring Lubricant when installing O-rings/headers. This prevents pinching the O-rings, which is the most common reason for immediate or future leaks. - For instructions on Replacing a Damaged Header watch our video under the Videos Tab. 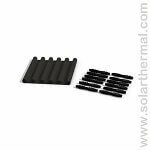 - These Enersol Headers are compatible with new and older Enersol Pool Panels. Can't really rate this product for quality because my solar panels are a bit different, the "o"rings and manifolds looked the same online but my 'o'rings and manifolds are a bit bigger. I don't know if it's an older version or just a different brand. Could anyone advise me please. Although the service i got was fast and the price was right . Just to bad the parts are not compatible. 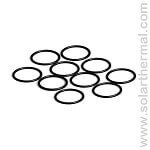 ____________________________________________________________________________________ Solarthermal.com EDIT: Hi Dave, The O-rings are still compatible between all generations of our products. The current O-rings are slightly smaller in diameter and larger in cross section but once you stretch them on to your header you will achieve a water tight seal. We've had other customer perform this repair without any issue. If you have any further questions or concerns please fell free to phone us Toll Free, 1-877-268-6502.